Home Cold War & Modern-NEW! 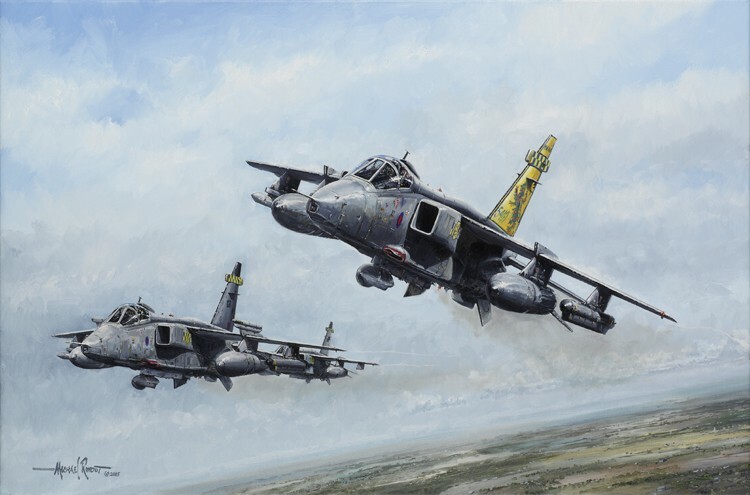 Michael Rondot's wonderfully evocative print portrays three 54 Squadron Jaguars returning to RAF Coltishall. Editions signed by veteran Jaguar pilots and also some editions additionally signed by Battle of Britain pilots. 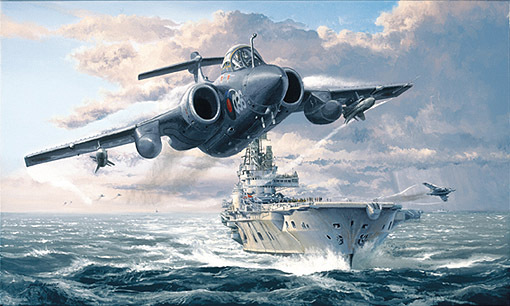 Robert Taylor's powerful image depicts a Royal Navy Sea Harrier on the tail of A Mirage V during the Falklands war, signed by a Falklands veteran. 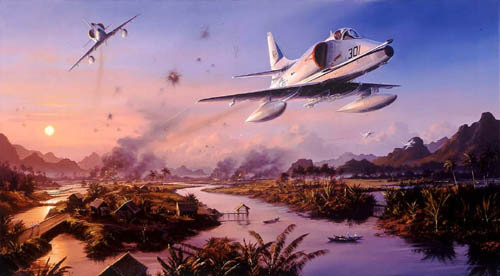 A stunning portrayal by Nicolas Trudgian of the US Navy A-4. In the Vietnam war Squadron VA-163 was stationed aboard the carrier Oriskany. Edition signed by 2 Skyhawk pilots. 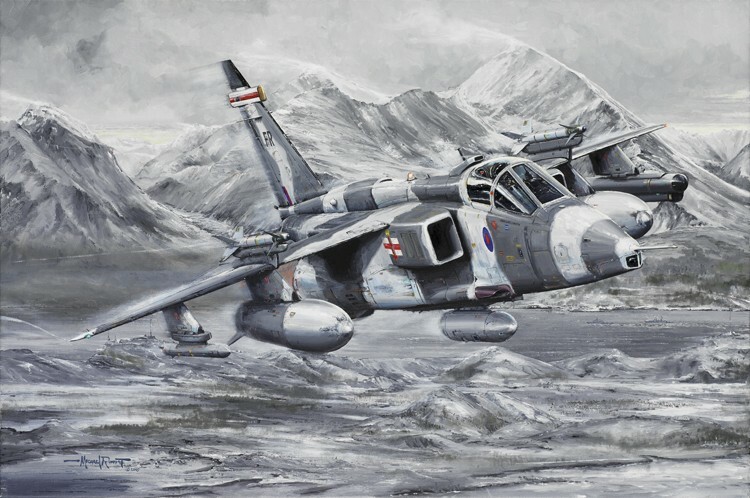 Acclaimed artist and former RAF Jaguar pilot, Michael Rondot has drawn on his own experiences of low flying in Norway to create a stunning painting dominated by the winter-camouflaged Jaguar. Veteran signed editions. 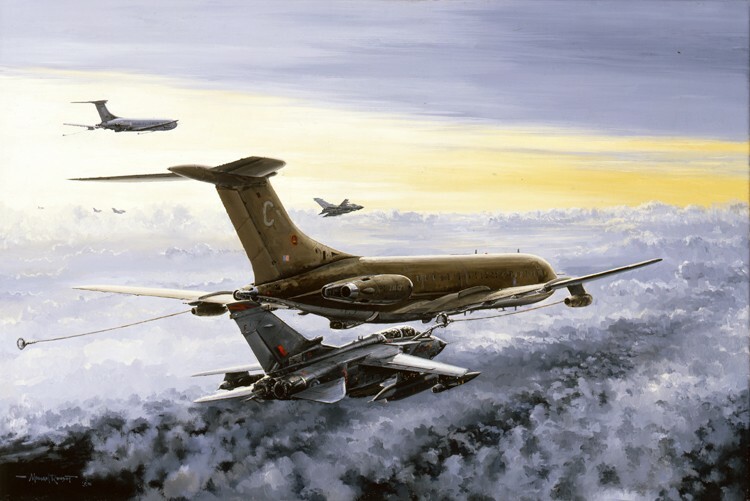 In Michael Rondot's remarkably accurate portrayal of refuelling operations high over the Atlantic, a 617 Squadron Tornado moving forward to refuel makes contact with the basket trailed by a Vickers VC10 tanker. 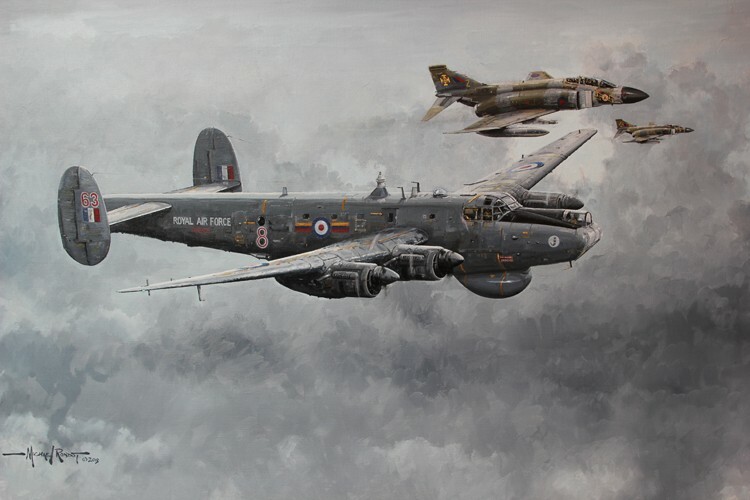 Michael Rondot's painting captures a familiar scene as a pair of "Tremblers" F-4 Phantoms from 111 Sqn, RAF Leuchars, formate on a Shackleton AEW2 somewhere over the North Sea. Editions available multi-signed by RAF pilots. 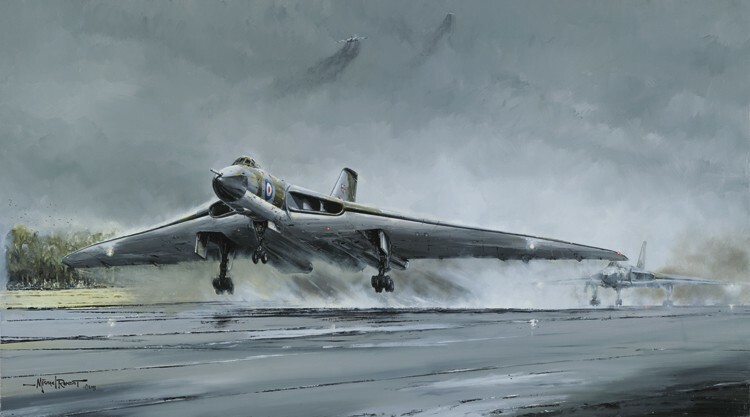 Former RAF pilot and artist Michael Rondot uses his experience and knowledge to depict a Vulcan V-Bomber stream take-off which was a powerful image of the Cold War years. Editions signed by Vulcan veteran aircrew. 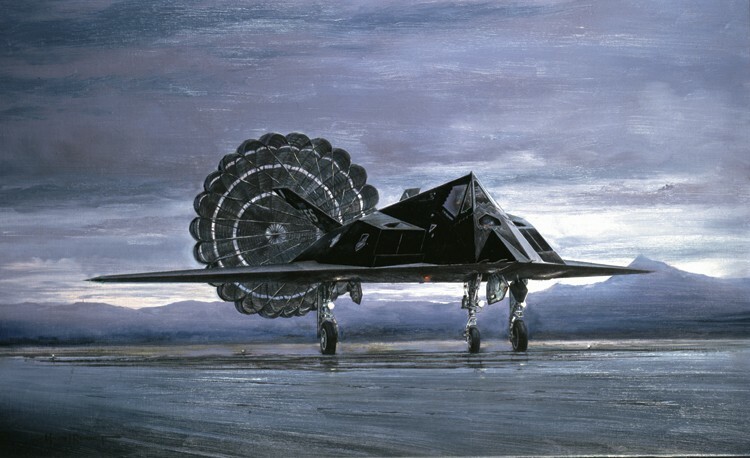 Michael Rondot's powerful and detailed portrayal of the sinister looking F-117 Nighthawk used during attacks on Baghdad in the opening nights of Gulf War I. Special editions signed by 24 US Air Force Nighthawk pilots. 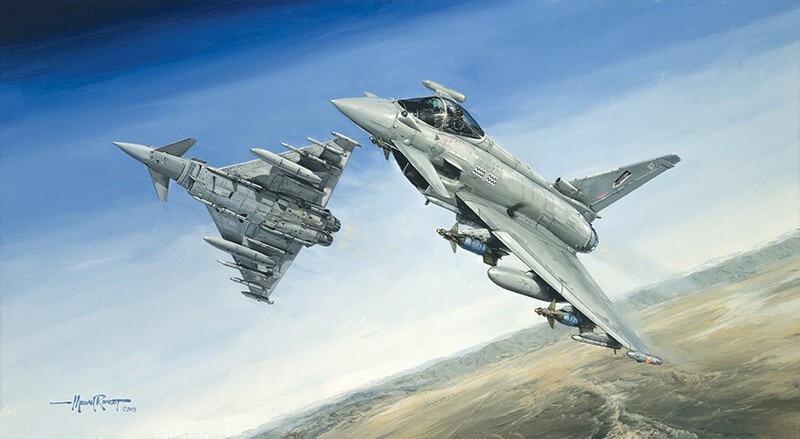 A former RAF pilot himself, artist Michael Rondot's evocative depiction of one of the most remarkable RAF Fighters produced - The EuroFighter Typhoon. Signed Editions available. 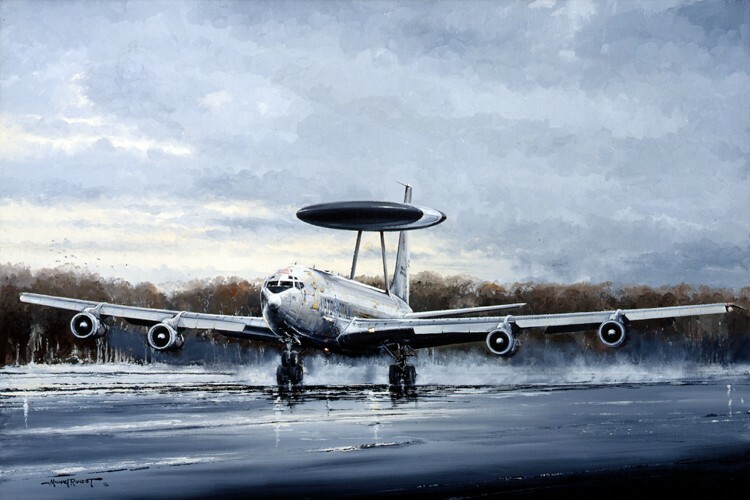 Former RAF Jaguar pilot and distinguished artist, Michael Rondot's classic portrayal of a NATO E-3A "Sentry" AWACS during an early-morning take-off from a snow-covered airfield in northern Germany. 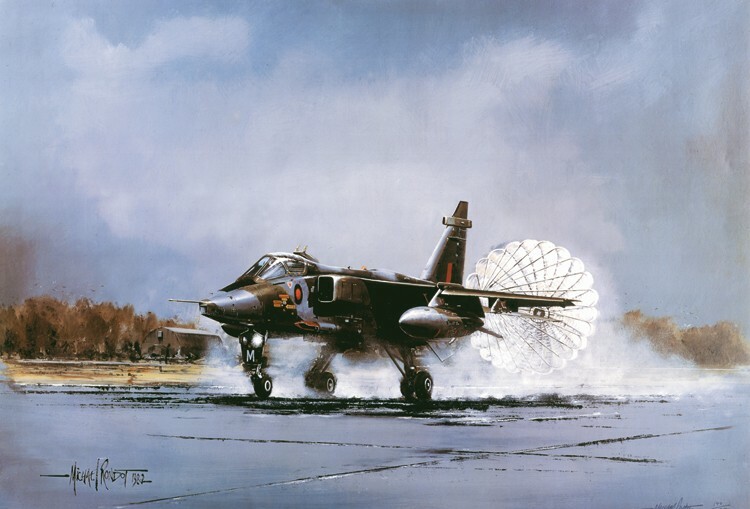 Michael Rondot's impressive image depicts a NATO Jaguar GR1 landing in the wet at Bruggen, West Germany. 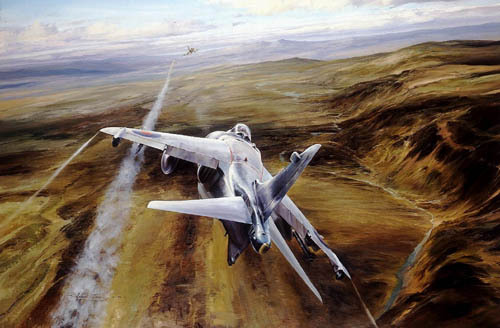 Michael Rondot's powerful depiction of RAF Maritime 'attack' Buccaneers in action, launching Sea Eagle missiles. Signed editions. 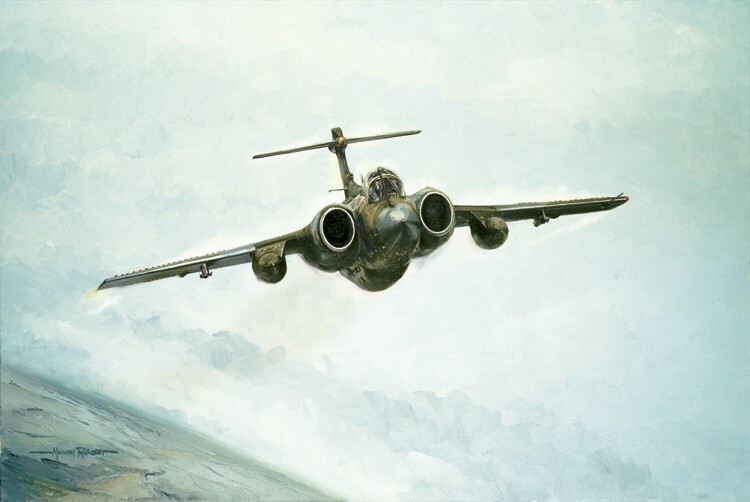 Michael Rondot portrays an RAF Strike - Attack Buccaneer turning off-target after dropping a practice bomb on the Wash weapons ranges. 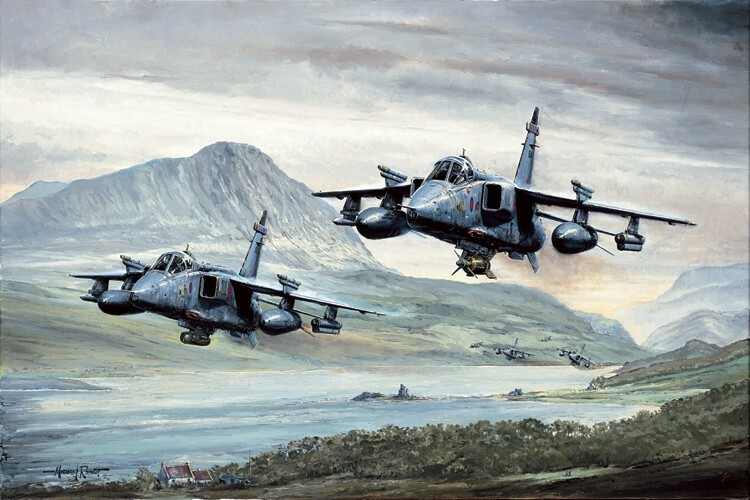 Stunning portrayal by Philip West of the iconic Royal Navy strike attack aircraft. 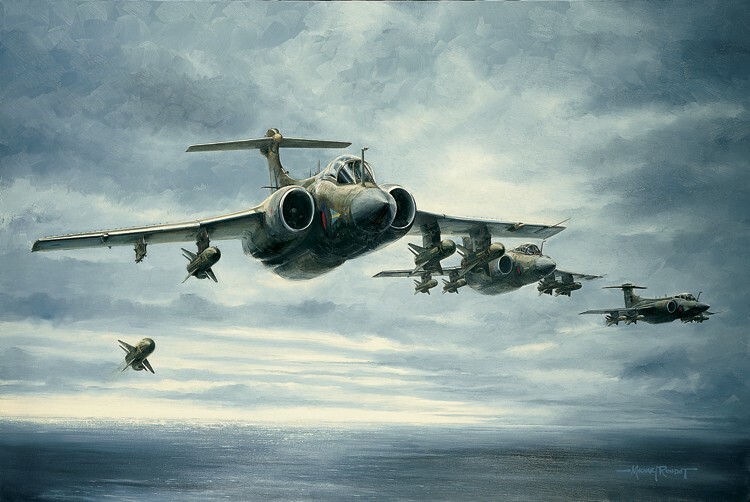 These superb limited editions have all been signed by 11 veteran aircrew who flew in the Buccaneer. 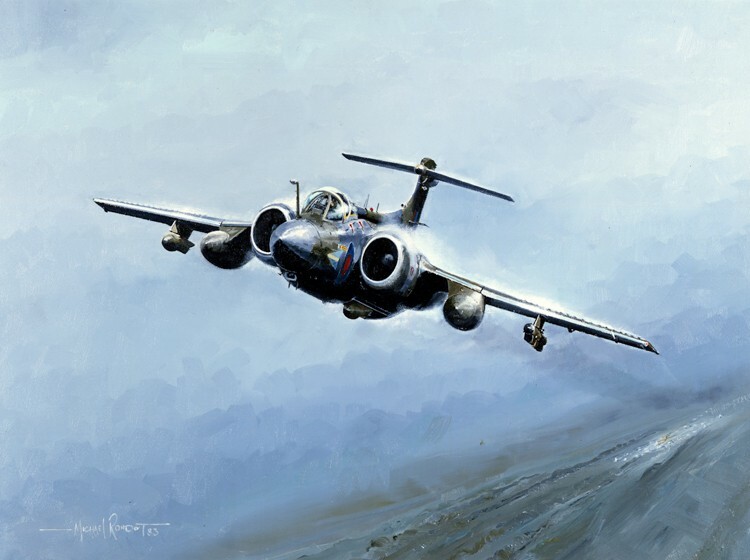 Former RAF pilot and acclaimed artist, Michael Rondot has produced a stunning tribute to the mighty Blackburn Buccaneer. 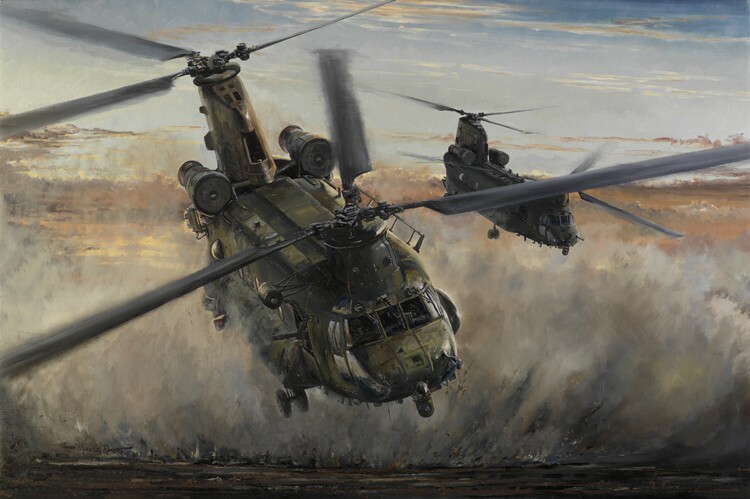 Former RAF pilot Michael Rondot's superb and atmospheric depiction of Special Forces Chinook helicopters in operation in Iraq. Editions available signed by veteran aircrew. 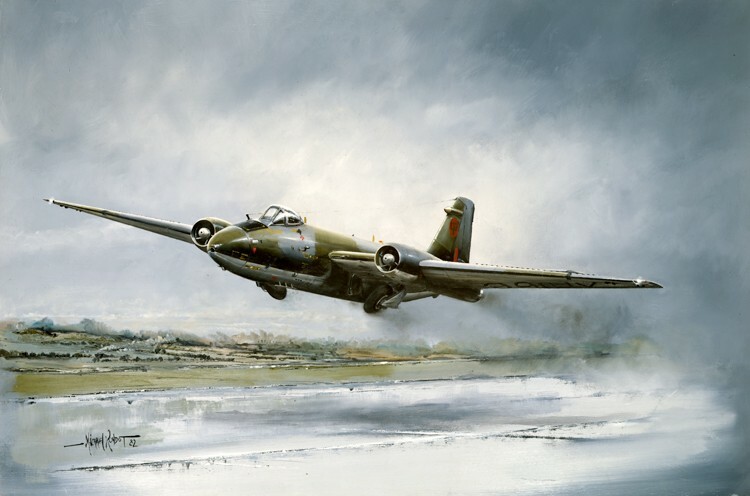 Former RAF pilot & acclaimed Artist Michael Rondot has produced a stunning image portraying the ultimate, high-performance Canberra variant as it powers into the air with black smoke pouring from its RR Avon 206 turbojets. 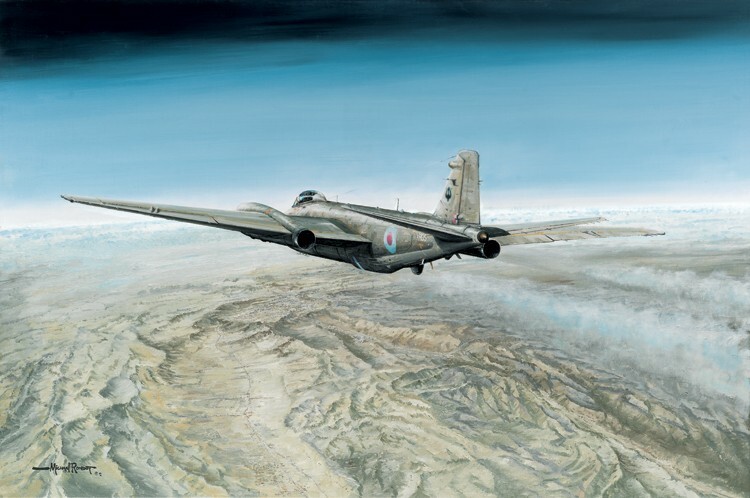 Former RAF pilot and acclaimed artist, Michael Rondot has used his experience and knowledge to produce another quality release portraying a high-flying RAF Canberra PR9 Spyplane on the road to Kabul during intelligence operations over Afghanistan. 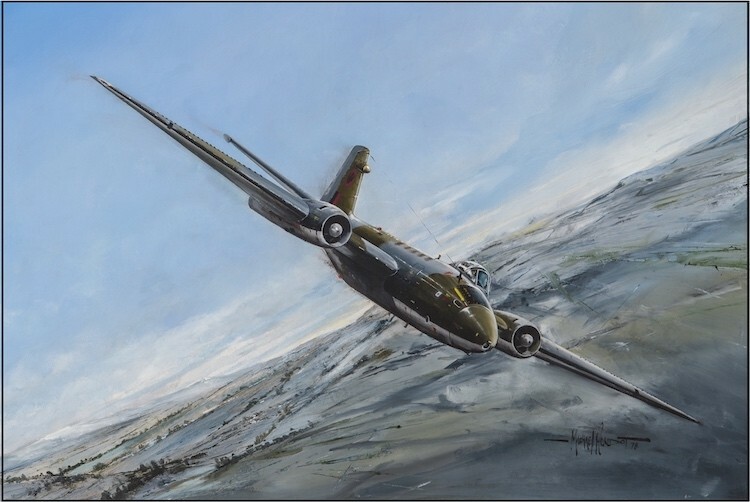 Michael Rondot's superb depiction of the iconic Canberra, features the powerful PR9 variant on a low level tactical reconnaissance sortie. Editions signed by the artist, himself a former RAF Canberra pilot.